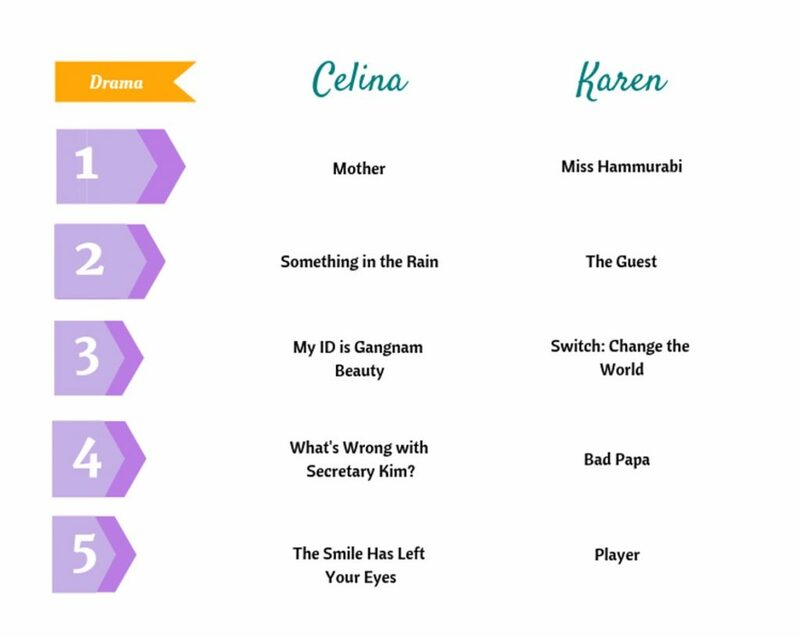 Celina: Typically, K-dramas that interest me the most are the romantic-comedies and, while I do have a couple on my list, this year the melodramas were the ones that really captivated me. What’s Wrong with Secretary Kim? and The Smile Has Left Your Eyes both told love stories in incredibly different ways. The Smile Has Left Your Eyes is full of nerve-wracking mystery, character development, and amazing acting from the lead cast. Seo In-guk as the lead was definitely mesmerizing when it came to fleshing out the many facets of his character’s personality. On the other hand, What’s Wrong with Secretary Kim? delivered several hilarious scenes and was a more typical romance. I enjoyed watching the female lead, played by Park Min-young, venture out for herself to figure out what she wanted to do with her life. 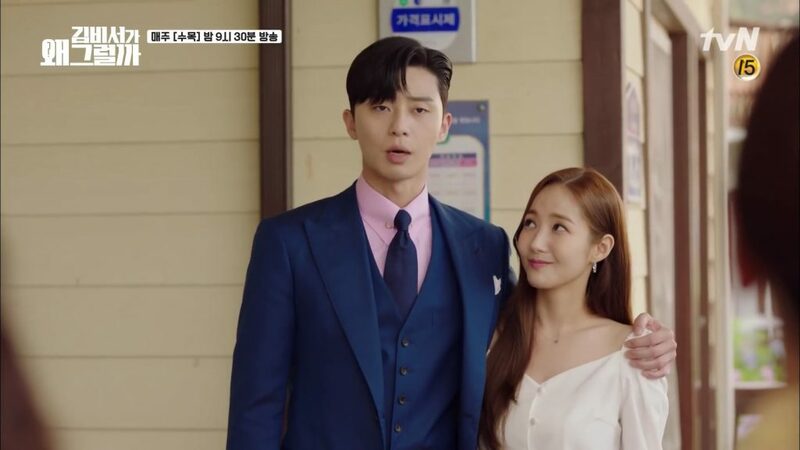 The chemistry and relationship between her and her boss (Park Seo-joon) was fun to watch as it developed into a romance. What about you Karen? What do you look for when searching for a K-drama to watch? Karen: After taking a look at both of our lists, it seems pretty clear that we have tastes that are worlds apart. It’s almost impossible for me to stick through with romance driven shows unless they have an unbeatable unique factor. I’m always drawn to action, mystery, or shows that deal with more serious societal issues. Miss Hammurabi tops my list because of how nuanced the story was. 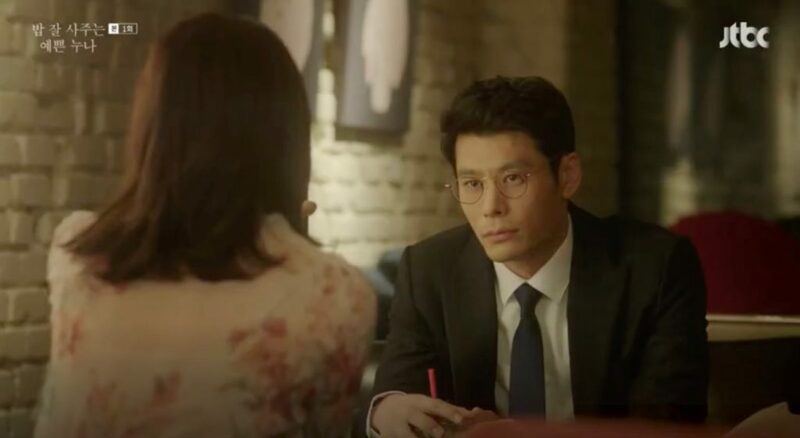 The drama’s emphasis on civil cases at the Seoul Central District Civil Court and the less empowered in society made the show even more appealing for me—it refused to become just another melodramatic courtroom drama. Rather, Go Ara, Sung Dong-il, and Infinite’s L brilliantly presented the struggles of judges in having to balance justice with their own emotions. The drama also threw in the element of comedy to balance out its serious tones, making the societal issues addressed more relatable. 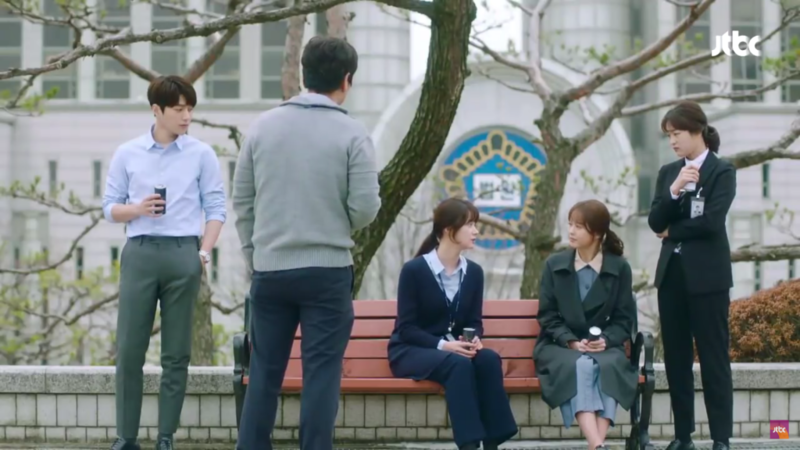 The multiple romance plots interwoven into the story line offered humour and humanity, without overshadowing the focus on South Korea’s judicial system. Ryu Deok-hwan’s mischievous antics are irresistibly charming and entertaining, especially when he’s teasing his uptight colleagues and superiors. But as I said, I tend to run away from dramas with a heavy focus on romance. I noticed that Mother topped your list, and that is definitely not a romantic-comedy. What was unique about it that it conquered your heart? 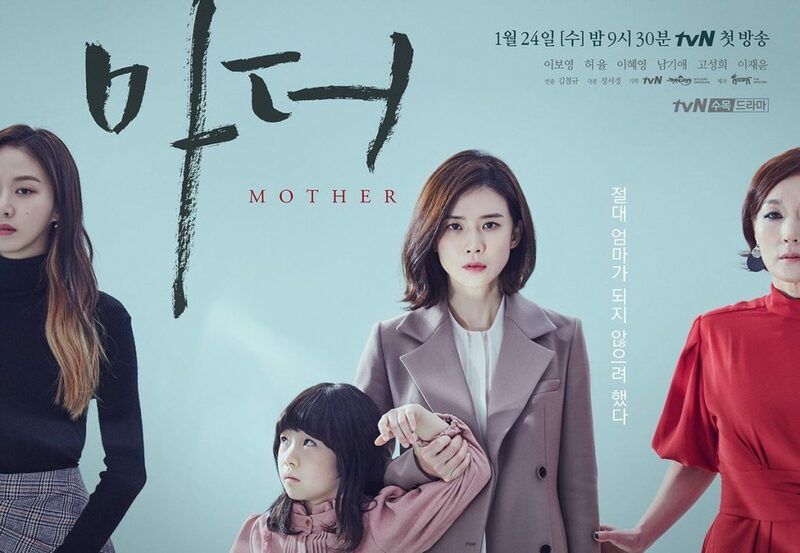 For me the main character in Mother, Soo-jin (Lee Bo-young), was such an interesting character. I was intrigued as to why someone who didn’t really want to be a teacher or a mother would decide to kidnap a child. With every episode, bits of Soo-jin’s past were uncovered which fill in the missing pieces. Additionally, it explained why she felt this was the only way to help Hye-na (Heo Yool). As you can probably expect, I’m use to seeing the rich evil mother in K-dramas so this was a nice change of view of mothers. Overall the story was beautifully executed with a focus on the mother-daughter relationships. It also had an ending that felt conclusive and deserving for all of the characters. I see almost all your shows are essentially crime dramas except for Bad Papa. What interested you in that drama? Karen: I stumbled upon Bad Papa by coincidence browsing for shows to watch. Initially, the slight sci-fi twist with the development of physical enhancing drugs caught my interest. However, what made me stick through with it was the drama’s focus on family. The message of trust and support within a family might be simple, but the plot’s gradual revelation of the unbreakable bond between married couple Choi Sun-joo (Son Yeo-eun) and fighter, Yoo Ji-cheol (Jang Hyuk) made it even more touching. The love between the married couple was far more complex than typical love-smitten romances. The way the drama unfolds the ties binding the couple and their daughter together really prompted me to contemplate what family really means in the face of obstacles like financial struggles, personal sacrifice, and even individual pride. I guess my tendency to stray away from romance also drew me to Player. As with most heist or con artists plots, Player had the typical male dominated team with a brilliant mastermind, his sidekicks, and a sole beautiful female. A romance would have been expected between the only female on the team with one of the males, but Player subverted such a stereotype in a heartwarming and humourous manner. Instead of viewing Cha Ah-ryung (Krystal Jung) as a potential lover, the other three males dote on her like loving older brothers. 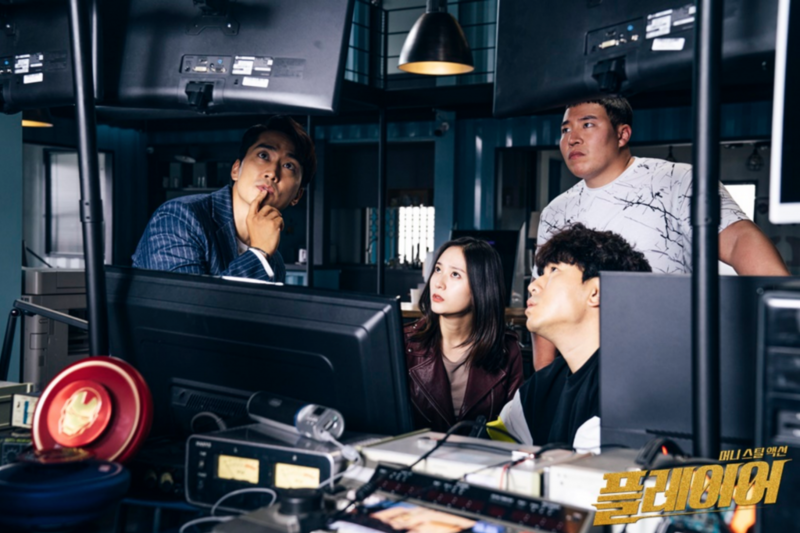 As Ah-ryung constantly turns up to save the day, the team forge stronger ties as a family and the drama concludes without any soppy romances taking over the plot. Celina: I must admit, Bad Papa sounds pretty cool. Well, older female and a younger love interest is a common plot device in romantic comedies so I didn’t see anything unusual about that. 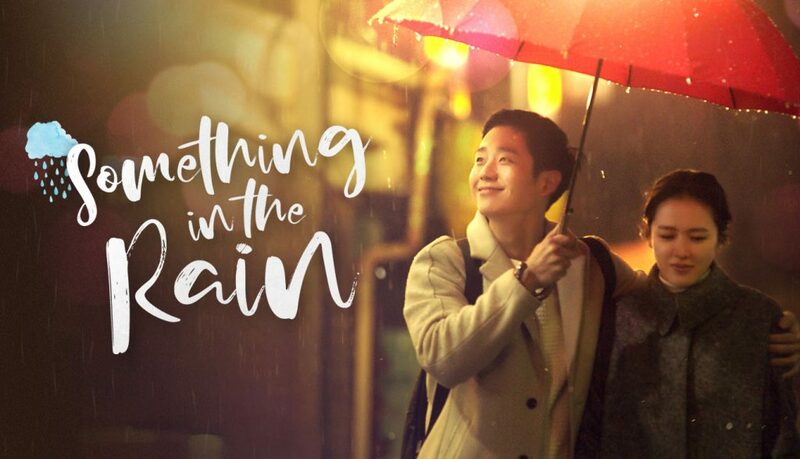 I had just finished watching While You Were Sleeping and I checked to see if Jung Hae-in was starring in anything new which ended up being Something in the Rain. The way the drama was directed, though, was definitely different. The progression of their relationship from being long-time family friends to becoming a couple was done so naturally. They were just two people who worked in the same building, and started to take lunches together. Little by little they slowly began to see each other more, and then realize they had feelings for each other beyond their initial friendship. There were no silly gimmicks and incidents that forced them together. It’s also great to see a K-drama tackling an issue that’s relevant with today’s #Metoo movement. Yoon Jin-ah (Son Ye-jin) deals with sexual harassment in the workplace. We watch how she initially brushes off the incidents to uniting with her coworkers and reporting the incidents. Overall, I think the show subtly remarks on how women are viewed in Korean society. We see this also when Jin-ah’s long-term boyfriend (Oh Ryong) breaks up with her for a younger woman. However, after he decides to take her back, he expects Jin-ah to accept him again because of his status and her age. She rejects him, and he goes through disgusting and manipulative methods to force her to take him back. Even Jin-ah’s mother tries to persuade Jin-ah to accept him again, suggesting she’s too old and of lower status to be rejecting him. My ID is Gangnam Beauty also addresses harassment and the issue with how women are viewed. The female protagonist, Kang Mi-rae (Im Soo-hyang), endures major plastic surgery because of how badly she was bullied by other students for her looks. One scene that was interesting to me was when she watches as the male members of a school committee mock three other girls — one for being old, another for not being feminine enough, and the last for her weight. Mi-rae looks at the girls but doesn’t see all the negatives that the her male peers see. Her classmates are continually harassed until they finally let the the male classmates know they don’t appreciate their hurtful remarks. Ultimately, the drama commented on the uniqueness of everyone’s beauty, and how other people don’t get to decide what beautiful means for you. Cheesy, I know but I liked the message of this drama. I see you have The Guest on your list which is also a little bit on the paranormal side. What interested you in this drama? 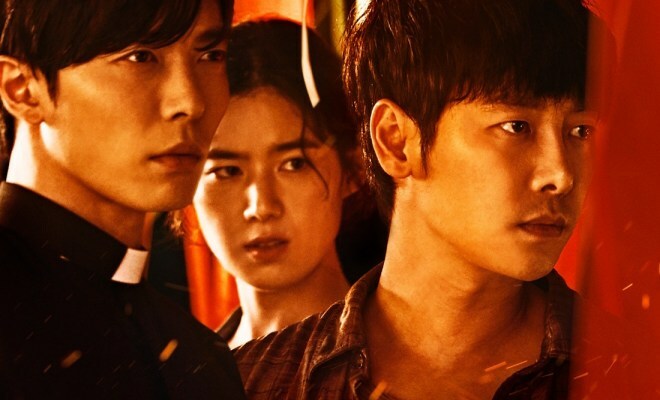 Karen: My personal taste for thriller and horror drew me to The Guest, but what really sustained my interest in the drama was the intersections between Korean shamanistic practices and Catholicism in the plot. In the 21st Century, it is almost impossible not to view something like shamanism with skepticism and disbelief. When it is incorporated in dramas, it tends to be with historical dramas, or having an isolated focus on its practices in South Korea. For The Guest to intersect shamanism with Christian exorcisms was a refreshing take on religious and ritualistic practices. Going beyond the gore and thrill of supernatural phenomena, I found the drama an acute reflection of a situation only possible in South Korea now; the country’s continued existence under Western influence and the drive to preserve its own cultural history surfaces so clearly in The Guest. It was intriguing to watch Yoon Hwa-pyung (Kim Dong-wook), born into a shaman family as a psychic, Choi Yoon/Matthew (Kim Jae-wook), an orphan who grows up to be a Catholic priest, and Kim Gil-young (Jung Eun-chae), a female detective, learn to work together in their various supernatural encounters. Even as the practices of shamanism and Catholicism seem to come into conflict, the drama does not outwardly prize one over the other. Rather, it is this irresolvable tension between both that helps the protagonists find various ways to rescue each other in desperate times. In the end, it was also heartening to see all three main characters forge a friendship possible only after trudging through impossibly difficult trials together. All their pasts might have been crossed with misdoings against each other, but their seemingly coincidental meeting as adults lead to a gradual understanding of a shared loss. And it is friendship and family that seems to keep drawing my attention. 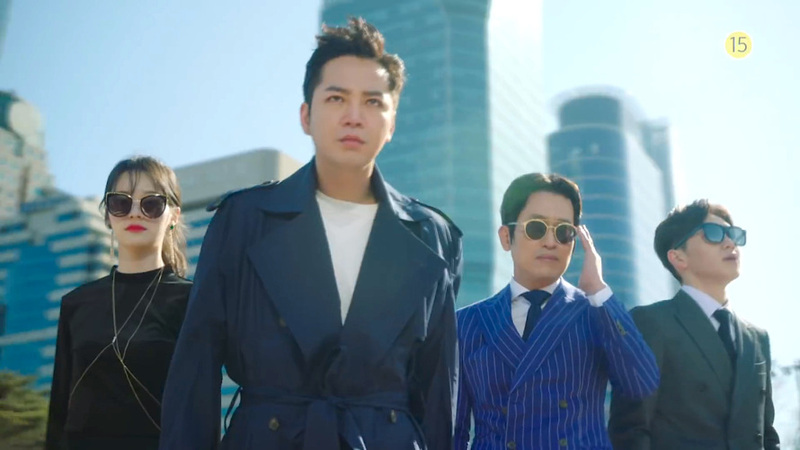 Even with Switch: Change the World, it is the camaraderie between ingenious swindler Sa Do-chan (Jang Geun-seok) and his team, together with prosecutors Oh Ha-ra (Han Ye-rin) and Baek Joon-soo (Jang Geun-seok), that makes the drama so worth watching. Sa Do-chan has all the charisma and mischief expected of a top-class conman, but he is also immensely good-hearted even if he barely reveals any of these intentions. The drama also ensures that each episode is a ball of fun to watch. Not only is the antagonist, Geum Tae-woong (Jung Woong-in), a Moriarty to Sa Do-chan’s Sherlock-like genius, prosecutor Baek Joon-soo is also an identical look alike to him. All these elements make the plot even more dynamic as it progresses, making room for a constant battle of wits. The drama manages to sustain the intensity of a heist movie despite having more episodes than a film. Outside of the excitement of watching the team of swindlers navigate the strict justice system while having to battle their adversaries, the dramas refusal to end with merry celebrations made it even more compelling for me. Sa Do-chan enters as an unlawful character, albeit having a good heart, and he leaves as one. The drama does not go along with expectations of him turning over a new leaf. Instead, it reflects the tenuous nature of relationships, even as they might be precious and meaningful while they last. The prosecutors and swindlers go on their own paths, and I find such an ending even more realistic and conclusive than perhaps a more idealistic happy ending. That’s a wrap for our favorite K-dramas! Let us know in the comments if you agree with our top 5 or if we left out any of your favorites.